ChildFund Ireland receives significant funding and support from Irish Aid ,the Irish government’s programme of assistance for developing countries. In 2012, we received a five-year development grant from Irish Aid to fund our work improving the rights and living conditions of disadvantaged children. This funding has helped support our programme work in Africa which comes under the banner of the Communities Caring for Children Programme (CCCP). The programme is implemented in 4 countries: Ethiopia, Mozambique, Uganda and Ireland. Over the lifetime of the programme (2012-2016), ChildFund Ireland will receive more than €3 million in Funding from Irish Aid to implement the CCCP. The CCC programme works with parents, caregivers, communities and authorities to provide sustainable early childhood development opportunities for children under five. Home-based care initiatives run as part of the programme help to educate parents on best practice habits for children’s well-being, and support them with early childhood stimulation, child immunisation and nutrition interventions. Early Childhood Development (ECD) centres constructed over the lifetime of the programme provide a vital platform for the development of young children in the target areas, and a community resource used to provide a space for training and for sharing of knowledge with a focus on parent/child interaction. Parents/caregivers are trained in in parenting and child health, volunteers and professional staff are trained in child protection, gender awareness and gender-based violence (GBV), and the promotion of community owned child protection and inclusion mechanisms such as child well-being committees and the strengthening of child protection systems. Opportunities for people in these communities to generate their own income have been improved through the operation of Village, Savings and Loans Associations (or VSL groups). This scheme is designed to promote financial sustainability, particularly for women who are the primary caregivers in the community. The groups are also used as platforms to advocate for, and to advance community and district level policies and strategies that benefit the lives of young children. Furthermore, a learning component aims to capture and share knowledge and experiences from the CCCP within ChildFund and with programme partners in the three countries involved. ChildFund Ireland recognises three distinct life stages: infant (0-5), child (6-14) and youth (15-24). Our ECD programmes are designed specifically for the former stage and tailored to the needs of infants. Our ECD programmes are based on a holistic model of three pillars – health, education and protection, in the knowledge that children will not learn if they are sick, they will not embrace healthy practices without education and that none of this matters if they are being abused or exploited. 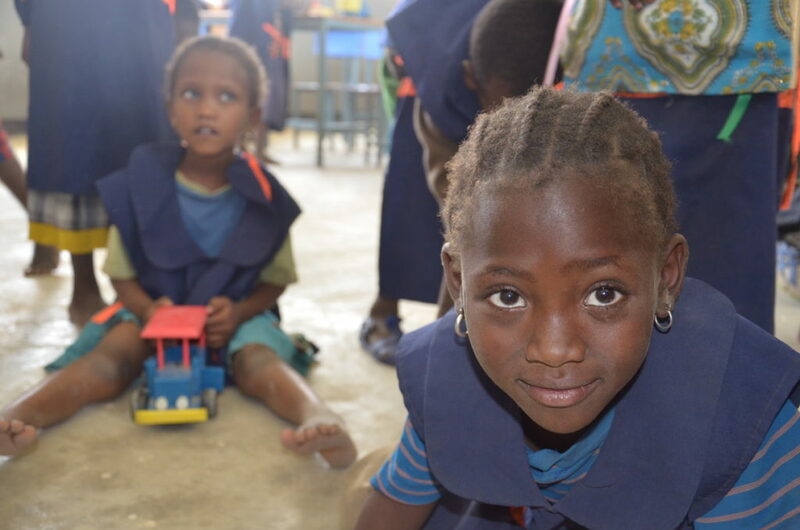 ECD plays a vital role in improving children’s cognitive, physical and social skills, providing an important bedrock for their development into later years. Over the course of the programme primary school teachers have noted the excellent performance of children who have graduated from our ECD centres. The CCC Programme has helped fund the opening of 7 ECD centers in the Sirrao district of Ethiopia (8 by the end of 2016), 4 centers in the Gondolo district of Mozambique (5 by end of 2016), and 4 centers in the Kiryandongo district of Uganda. Before the programme, ECD options for 0-5 in the rural territories of all three countries where we operate were either extremely limited, or non existent. What ECD centres that did exist were either inaccessible, or mostly unknown in these communities. The ECD centres constructed and renovated through CCCP have resulted in increased enrolment and attendance rates of children. They have helped provide model examples of quality ECD services, raised awareness among parents and challenged other privately owned facilities to improve the quality of their services. Community ownership of the centres is recognised as one of the biggest strengths of the programme and the ECD centres are now seen to provide a good learning environment for children as appreciated by parents, community and district leaders. The CCCP has helped ChildFund to work with local partners in improving available health services as they impact on children and their families. Home visits by healthcare workers has resulted in increased take up of immunisation and birth registration services across the Districts. For example, in Mozambique child registration campaigns have been carried out and a total number of 11,189 children from 0 – 10 years have been registered since the programme started. Child immunisation is one of CCCP’s achievements with targets exceeded in both Ethiopia and in Uganda. CCCP’s partnership with local health offices and facilities was crucial to this success, and has contributed to the sustainability of immunisation services in the areas. Community education has ensured that parents and caregivers now understand the necessity and benefit of immunisation. The programme also includes a component to improve nutrition for young children and the communities are learning how to grow and cook appropriate foods. Education of parents in safe practice habits has contributed to improved feeding and hygiene practices and positive discipline methods for their children. Improved parenting practices are credited for increasing ECD centre attendance and performance in all three project locations, improving parent-child communication and increasing the quality of play-time. It has also contributed to the replacement of corporal punishment with positive disciplinary approaches. The CCCP vision holds that economic empowerment is one way of enabling communities to properly care for their children, and that community members’ economic empowerment can assist in their greater participation and investment in ECD services. Therefore, CCCP introduced and developed community Voluntary Saving and Loan (VSL) groups and Business Development Services (BDS) for targeted households to increase their household incomes and consequently increase the households’ support of ECD services. Prior to the CCCP intervention, most parents and caregivers in the target communities did not have access to financial services and loans, and those who could apply for a loan had to face high interest rates. The VSLA groups, by providing an accessible and reliable source of savings and loans, have enabled many families to improve their quality of care to the children by providing them the means to meet basic needs such as health, nutrition, birth registration, education and other services. This has resulted in improved employment opportunities and improved access to, and attainment of, quality health and education by poor and marginalised citizens, especially females. In Mozambique alone, 70 VSLA groups were created since the beginning of the programme, exceeding the original target of 40. Of the total number of citizens to benefit from the scheme, some 73.5% are women who have been economically empowered through the savings groups. Significantly, VSL groups are also used as information platforms to educate parents and on best practice in health, education and care for children. The groups have also provided an important platform for females, empowering them to have a much greater say in matters that impact on their lives and the wider community. VSL groups also act as a means to sensitise the community about gender based violence (GBV) and harmful, culturally ingrained practices such as female genital mutilation (FGM) that are so damaging to the lives of women and young girls. Over the course of the CCC the programme has sought to increase the number of community structures that are able to plan, implement and monitor child care & protection systems for children in the programme areas in the 0-5 age group. A second and equally important goal has been to increase the percentage of reported child protection cases that are managed according to professional standards. In Uganda, more effective referral networks and systems which provide quality medical services and legal support has contributed to an overall increase in the number of child abuse cases reported. Recently, Kiryandongo Police Station and other local stations increased the number of officers at their Child and Family departments in an effort to provide improved case management and follow-up services. In Mozambique, three referral networks between community structures and formal child protection service providers have been successfully established. The Child Protection Community Committees (CPCCs) are now linked to the Department of Child, Gender and Social Action at District level, as well as to the Mozambique Institute for Legal Aid (IPAJ), the Police, the Registration Department and the Municipality. In Ethiopia, prior to the CCCP intervention the majority of government established Child Rights Committees (CRCs) were not functional. The CCCP has provided continuous capacity-building training sand subsequently all CRCs in five operational areas of Siraro are now actively contributing towards protection of children, and responding to cases of child abuse and violence. For example, the levels of awareness in the community in relation to child protection have dramatically improved. Response mechanisms and systems have been established and are now responding to reported cases in a professional manner. One example is FGM whereby the Siraro Women and Children Office indicate that prior to CCCP there were four to seven FGM cases reported every month. Now, as a result of the coordinated efforts, the practice of FGM is decreasing over time. Through continuous awareness raising efforts, the programme has supported seven practitioners of what is known in development terminology as Harmful Traditional Practices to engage in alternative income generating activities. These are important steps in both educating and supporting rural communities to abandon cultural practices that are detrimental to the health and well-being of women and girls.